The Choir of St. Cantius Catholic Church in Chicago sing the Hymn of the Holy Innocents in the State Capitol on March 20, 2019. Before I get into the important topic mentioned in the headline, I would be remised to not take a few minutes to thank our local officials and emergency responders for their response and work on the recent flooding in our region. The hundreds of responders and volunteers working tirelessly has been awe-inspiring as I have visited with many of the local officials working to assist their communities. From all of us- Thank you! Another awe-inspiring news item came late Wednesday March 20 when it was announced that the Capitol Police were shutting down entrance to the Capitol Rotunda due to a maximum capacity crowd gathered in the Capitol to stand up for Life as part of a Pro-Life Lobby Day. Although I have only worked in the Capitol a few short months, I am no stranger to raucous displays of protest in the Capitol as groups lobby passionately each day for their chosen causes. However, this was something far, far different. Instead of hurried voices scripted over a cheap megaphone, the Rotunda was filled with the voices of our youth- the youth choir of St. John Cantius Church, to be specific- lifting up their angelic voices in a hymn praying for their unborn brothers and sisters in Christ. It was a sound I had never heard in the Rotunda. Our young people lifted their voices well beyond the peak of the 361 foot dome. I don’t believe it too bold to proclaim, certainly their voices touched the ears of our Creator as well. These children locked shoulders and hands and sang to our Creator for all the innocent lives their policy-makers have allowed be sent into His loving arms far too early. It was something I will remember for the rest of my life. 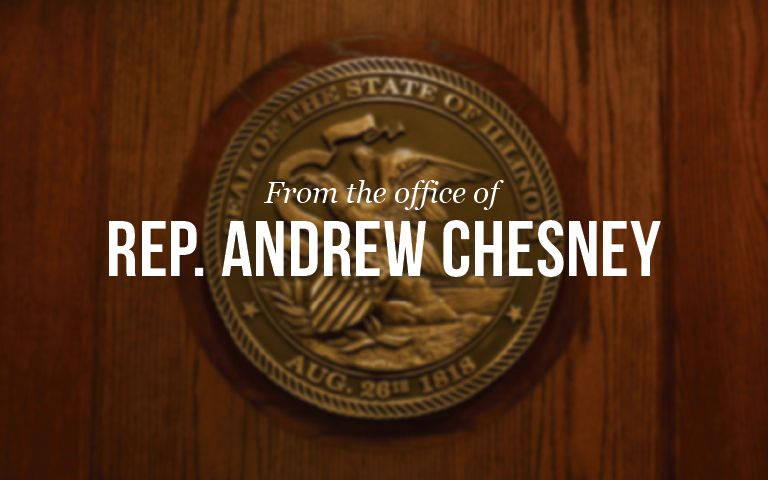 While I am Pro-Life and my voting record in Springfield will strongly reflect that position, even the most ardent of Pro-Life advocates leaves room for empathetic nuance surrounding these issues. I don’t know anyone who believes that a person who has an abortion wants to make that choice. They are in need of our prayers and also in need of policies that ensure their emotional and physical well-being is cared for before, during and after such a horrific life event. If they are a minor going through an abortion, they need their family support system and not confidentiality from their parents or guardians for undergoing such a major medical procedure. The consequences of an abortion require medical, emotional, and psychological support and follow-up and we fail our citizens as easily as we have failed the unborn if we don’t look out for their health until such time as our policies reflect the will of our hearts and our highest aspirations. That’s why I oppose the proposed repeal of Illinois Parental Notification Law. In the same General Assembly debating a bill to not allow 12-year-olds to babysit their siblings without an adult, we are debating that a child can get an abortion without parental notification- it’s a bizarre dichotomy. Other proposals in Springfield have haunting echoes of efforts in other parts of our country which are sadly veering toward infanticide. My opposition to these proposals has nothing to do with infringing upon Roe v. Wade nor women’s healthcare. I suggest these proposals are against women’s health and far beyond our common sense of decency as a civilized society. They are out-of-touch and extreme. At a time when it is critical for legislators to be addressing funding of our schools, attracting jobs to Illinois, and keeping our kids and grand-kids in Illinois, we are forced to have to defend the very sanctity of Life itself. If the “Hymn of the Holy Innocents” sung by the youth choir of St. John Cantius Church of Chicago filling the Capitol Rotunda with love and prayer does not melt your heart and make you ask what we’re doing in this State and where we are headed if we don’t change course, then I fear nothing else will. You can view the video of this moment here. Please do watch this and then take action to allow your voice to be heard as well- to both our Creator and our policymakers.